For more than 140 years, Follett has been taking care of the critical details that make it easier for schools to run, teachers to teach and students to learn. Follett Corporation was founded in 1873 when Charles M. Barnes opened a used book store in his Wheaton, Illinois home. Three years later, Barnes moved his business, now named C.M. Barnes & Company, to Chicago where he opened a store at 23 LaSalle Street. Here, he sold new and used textbooks, stationary and school supplies. C.W. Follett joined the company in 1901 as a stock clerk. The following year, Charles Barnes retired and his son William became president. The company had now evolved into a wholesaler, selling used books throughout the Midwest and as far away as the Oklahoma Territory. In 1908, the company was reorganized as C.M. Barnes - Wilcox Company when John Wilcox, William Barnes' father-in-law, became the company's primary shareholder. Photo caption: C.W. Follett in his office. In 1912, C.W. Follett became vice president and a shareholder of the company. In 1917, William Barnes sold his remaining interest in the company to John Wilcox. 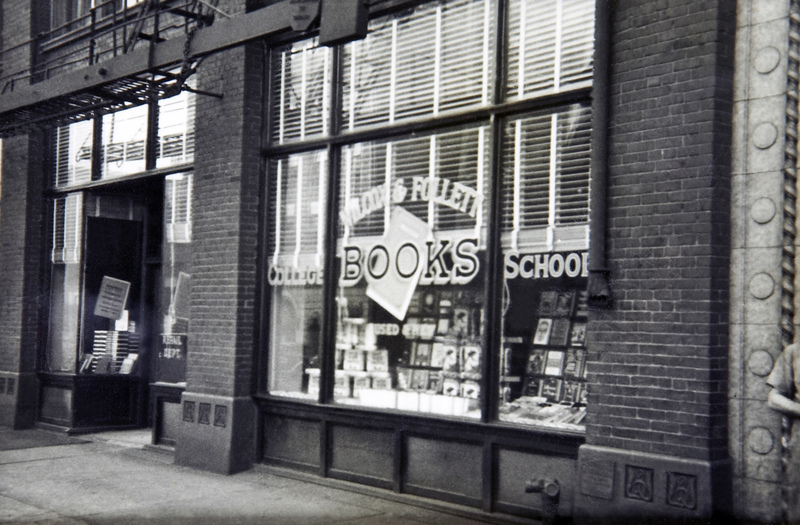 Later that year Barnes moved to New York where he partnered with G. Clifford Noble and founded Barnes & Noble. The following year, with Wilcox nearing retirement, C.W. Follett took over management of the company and it was once again renamed, this time as J.W. Wilcox & Follett Company. John Wilcox died in 1923 and the following year, C.W. Follett and his wife, Edythe, purchased the company. During the next two years, C.W. Follett's three oldest sons--R.D. (Bob), Garth and Dwight- - joined the family business. C.W. 's youngest son Laddie, who was still in grade school, joined the company in 1930. During the next two decades, C.W. 's sons infused the company with ideas and enthusiasm, helping the company to evolve and grow. 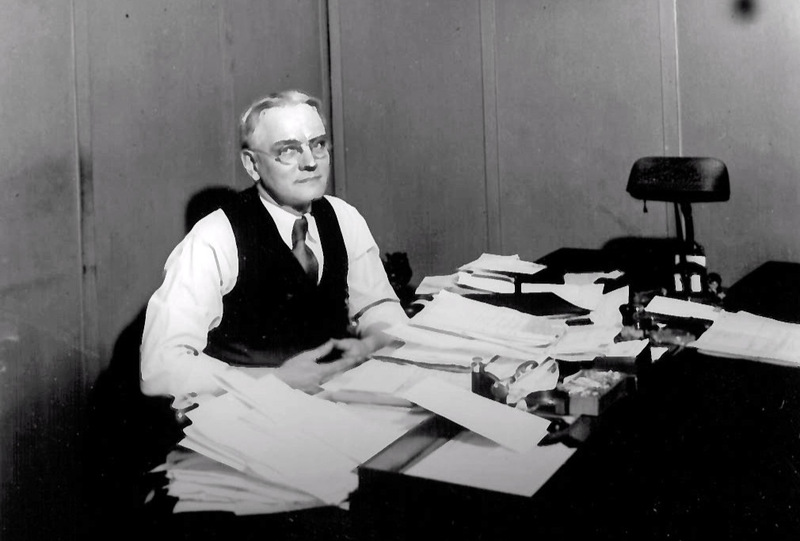 In 1925, Dwight founded the Follett Publishing Company. In 1930, R.D. Follett founded the Follett College Book Company and began wholesaling used textbooks to professors and college bookstores. The following year, R.D. established the company's first retail bookstore on a college campus outside of Chicago. And in 1940, Garth Follett created Follett Library Book Company. Laddie Follett ran the company's original business - Wilcox & Follett - from 1952 until 1986. Photo caption: Wilcox & Follett, 1255 S. Wabash office, Chicago, Illinois. 1934. When C.W. Follett passed away in 1952 at the age of 70, Dwight Follett succeeded his father as chairman. The company continued to grow and was renamed Follett Corporation in 1957, which it is still known by today. 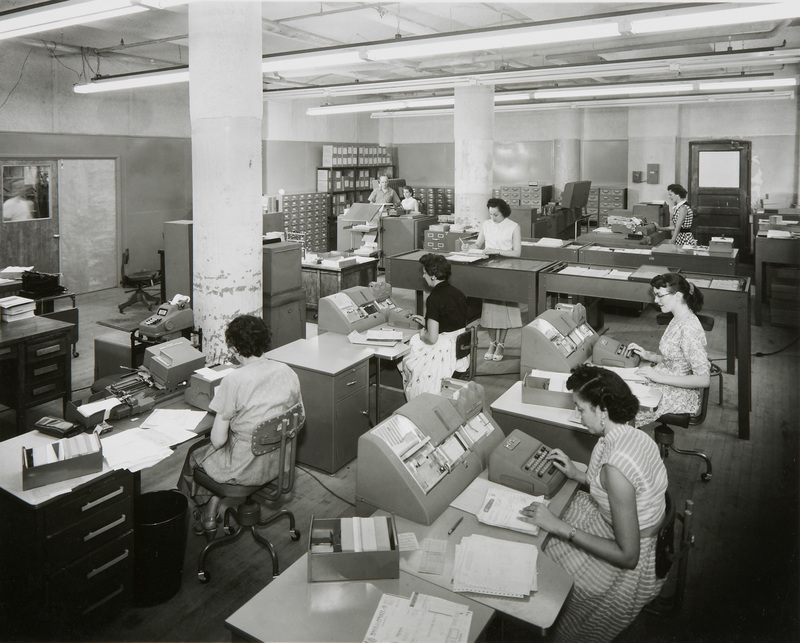 Photo caption: Follett Accounting Department. Circa 1950's.